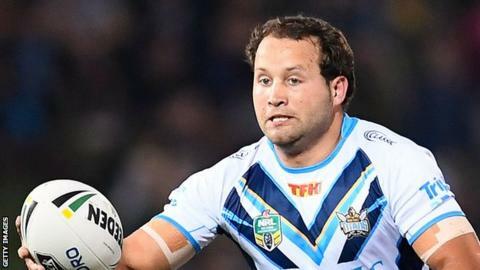 Warrington Wolves have signed half-back Tyrone Roberts from National Rugby League (NRL) side Gold Coast Titans on a three-year deal. The 26-year-old made 41 appearances for the Titans after joining from fellow NRL clubs Newcastle Knights in 2016. "I'm very excited to be joining Warrington Wolves. My family and I can't wait to get over there," he said. "I'm excited to rip in and compete for some trophies and meet all the passionate fans." Roberts is the first player to join the Wire since Steve Price was appointed as head coach earlier in October.